Dr. Bob Skankey, his wife Louine and Rachel Diana Charles Phillips arrived on the humanitarian plane from Niamey on Friday and solar Rich left on the same plane. 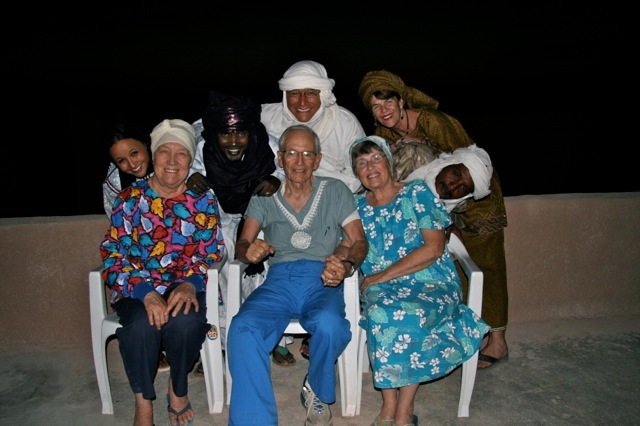 We stayed one night in Agadez and headed out the next morning to see the new finished education and visitors center. I will wait until I get it a little decorated before I show you photos of it. 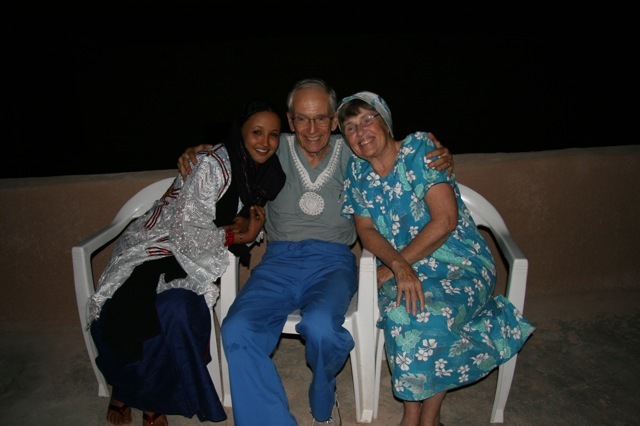 Bob with his wife Louine and his “adopted” Tuareg grandaughter Aicha.